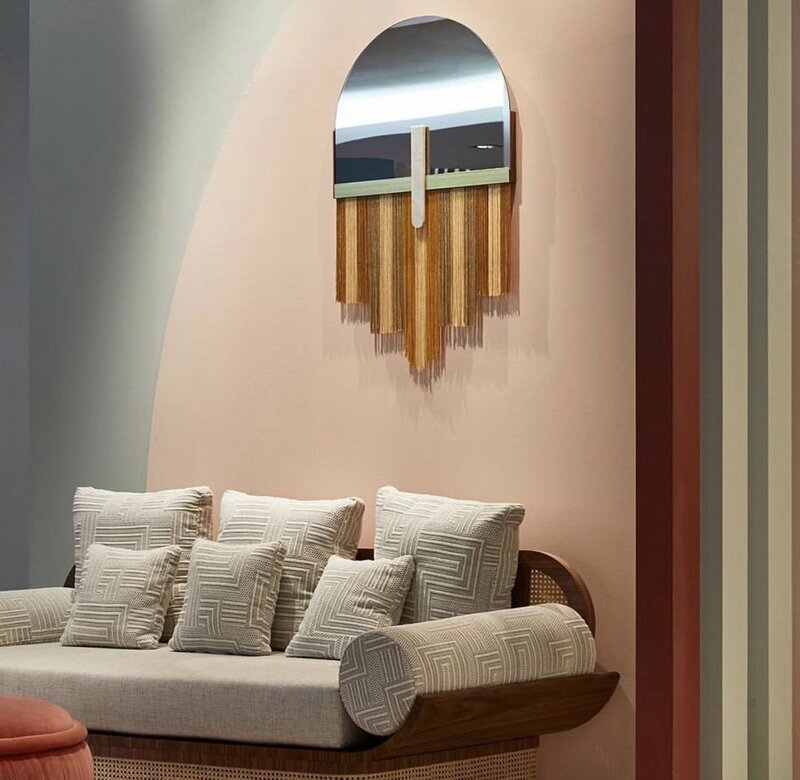 Fritz Porter's design blog featuring interiors, inspirations, images that are nothing but Eye Candy and the Inside Scoop on our vendors and design center. This is our crew in fully jet lagged. We landed early in the morning and were determined to stay awake all day to get ourselves acclimated as quickly as possible. What better way to do that than find some inspiration, so off we went to le Marais and the Musee Picasso. 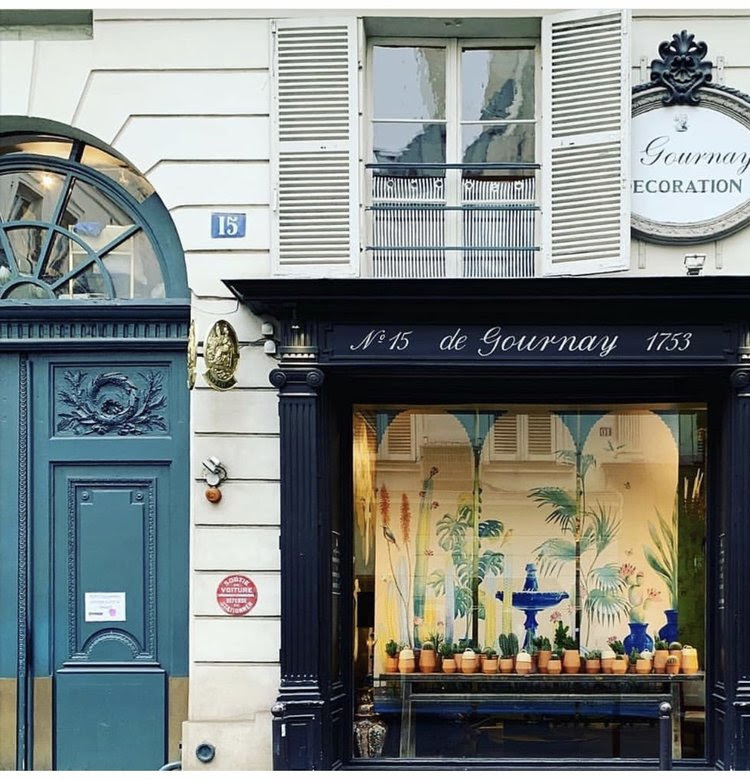 After a decent nights sleep, it was off to Paris Deco Off in the lovely St Germain neighborhood where we perused the Parisian textile showrooms and discovered lines, both established and brand new. These charming lampshades served as the proverbial cookie crumbs to help guide the way through the winding streets. One of the most evocative showrooms was that of Cole and Son and Fornasetti. Just spectacular…. We did take a little time out to do some sightseeing…. Notre Dame is truly spectacular. Located on the Ile de la Cite in the 4th arrondissement, it is widely considered one of the finest examples of Gothic French architecture. Not only were the ornate carvings, flying buttress and rib vault structure impressive, but the rose stained glass windows were magnificent. And we loved seeing how our friends at Maison Levy interpreted the famous windows on their new velvet cushion design. Visiting the Maison Levy showroom was one of the highlights of the trip. We love seeing where our vendors work their magic! 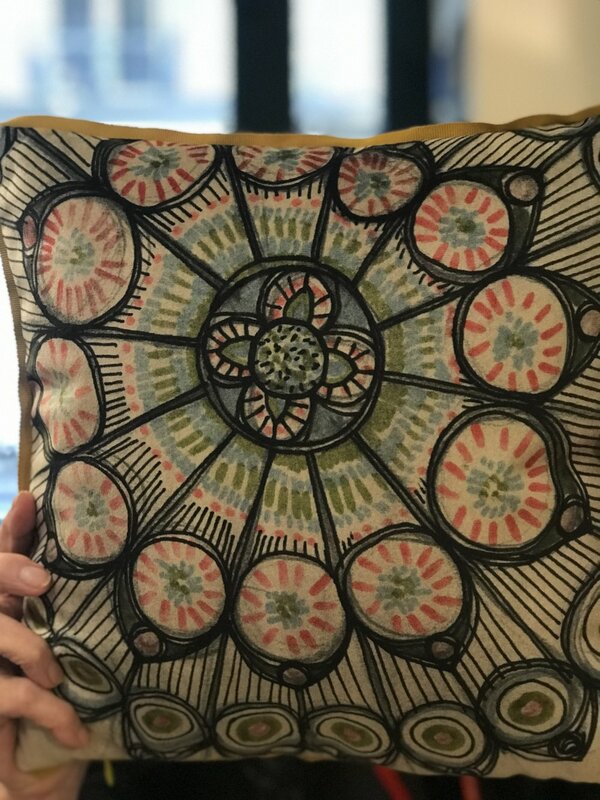 We also discovered new and interesting textiles at Maison Object like this marbleized silk from British designer Susi Bellamy. The snow did not dampen the excitement of the show….we thoroughly enjoyed meeting so many talented product designers and discovering new brands. We noticed as we walked the show, several trends that really stood out…one being the use of one of my favorite elements - caning. The technique of caning was first used in Europe in Holland in the 1600s, but it quickly spread throughout France and England due to their robust trade with Asia where different caning techniques had been used for centuries. I have always been drawn to the airiness and texture that caning lends to furniture, and as we discovered at Maison, lighting and accessories as well. Pendant lights that marry caning with velvet and linen were a showstopper. It was wonderful to see how contemporary furniture pieces in all shapes, sizes and colors were enhanced by this ancient technique. 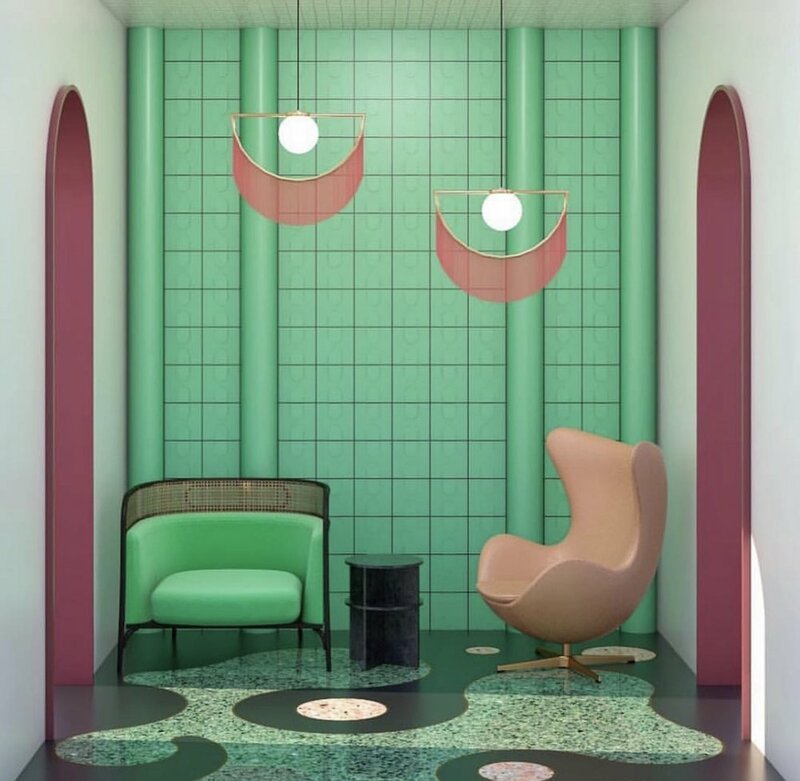 Another trend that was present throughout Maison Object was what I call “natural curiosities” - accessories and furniture made with or replicating different elements of nature. It appeared in many forms including carved wood and bone, shells, horn, taxidermy. This Scottish line in uses naturally shed antler to make some incredible furniture and accessories…. Not surprisingly, the nature theme segued perfectly in to the many booths devoted to garden design. And to the many vendors showcasing incredibly intricate and scenic wallpapers - most of which had some kind of reference to Mother Nature. This photo also shows an example of the #fringe trend that we noticed time and again. From lamps to furniture to the runway…. Oh yes did I mention that Paris Fashion Week was happening at the same time as Maison? (Coincidence?) See here that the fringe thing crossed over…..
Other favorite restaurants were the classic steak frites at Le Relais de L’Entrocote, Moroccan tapas at Restaurant Liza, the specials at Fish la Boissonnerie in St Germain and amazing people watching and food at Le Hibou in the Odeon. Since there were four of us, we opted to rent an apartment via VRBO. The place we found was charming and in full view of the awe inspiring L’Arc de Triomphe at the top of the Champs Elysee. On this particular day, it happened to be surrounded by armored vehicles to protect the historic monument from the ongoing Yellow Jacket protests which seemed peaceful but admittedly were still a little unnerving. On Sunday, to steer clear of the protests, we high tailed it out to Le Clingencourt and the famous Paris Flea Markets. To get there we had to wade through a tunnel of dealers peddling knock-off Gucci, Louis Vuitton, and oddly, a ton of faux Canada Goose outerwear. Go figure. In any case, the flea market was really interesting—albeit freezing, so it was more a sightseeing expedition due to the fact that it was too cold to stop moving long enough to wheel and deal. What is old is new again…chairs with #fringe…. We finally made it to the Eiffel Tower on our last day. It was raining and cold, hence the blurry selfie below. But it was a perfect way to end our whirlwind tour of the one and only City of Lights. Stay tuned for new arrivals over the next few weeks as we bring back a little piece of Paris to Fritz Porter. Au revoir! EYE CANDY: 'Tis the Season!